Discussion in 'Modeling & Skinning' started by pospi, Oct 3, 2005. The Marshmallow Duel : Mowbray's Revenge character design competition is a chance for 3D modellers and texture artists to get their work featured in a mod and win a USB vaccuum cleaner in the process! Pospi is donating a USB vacuum as the grandprize for the best entrant. Additionally this is not only a chance to get your character into a mod (stick that on your resume), but also just a good portfolio building exercise. Judging will be done by the MOD team. The goal of this challenge is to create characters for use in Marshmallow Duel : Mowbray's Revenge. 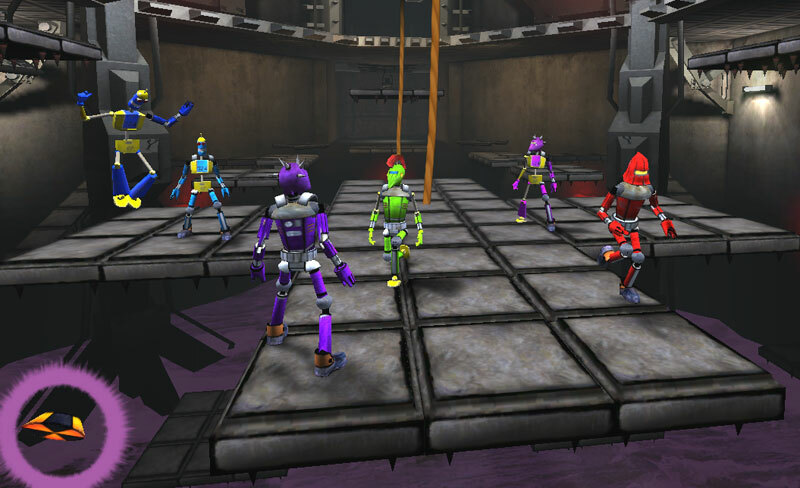 The characters are vibrant robots mashed together out of random limbs. The mod uses a custom character builder that lets players create their own character by mixing and mashing existing characters. The body is broken down into: Head, torso, upper and lower arms, hands, upper and lower legs, feet, and shoulder pads. There is no smooth binding, each part of the body is parented to its corresponding joint. This might sound a bit complicated but it's actually quite simple and means that there's no painting of skin weights, in fact it doesn't even need to be rigged. Entrants may create full body sets or individual parts. No particular preference will be given to either, though remember that it may be difficult to create a left foot with the same impact as a full character. You can download the development kit from the files page of the MD:MR website. This archive contains reference models in MAX, LWO and MB formats, as well as a stripped version of the mod for testing and full tutorial. Polycount: no more than 6000 polys per character for a full body. Texture Format: No bigger than 1024x1024 per character. If creating independent limb objects, consider using smaller textures individually for each part. Complex body shaders are allowed, and encouraged. See the tutorial linked above for more information. 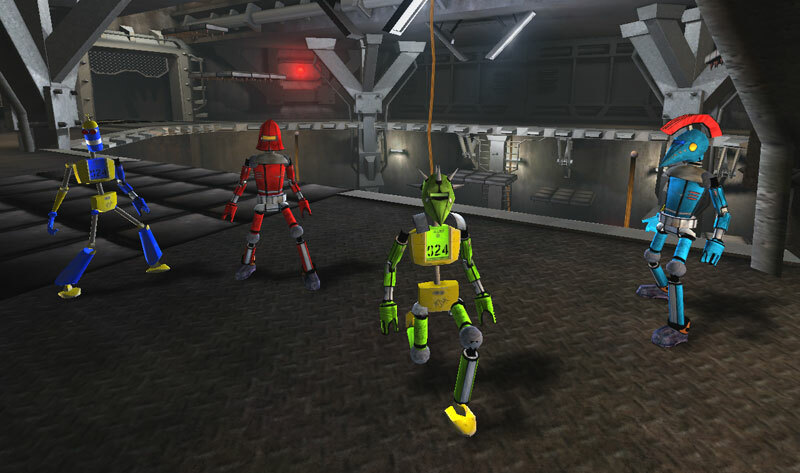 Characters must be exported to UT2004 packages, ready to use in mduel2. See tutorial linked above. You must post your UT2004 files in a zip archive, as well as at least one image of your character. This may be a simple screenshot or rendered from your 3D application of choice. Create a new thread in the mduel forums, here, with a link to your zip file, screenshot and any other info you wish to include. If you have no access to hosting, please instead send an email to pospi (see mod contact page) with these files attached. A thread with screenshots will then be created for you. 1. software lit orthograpics (front, back, side, 3/4 view). 3. uvw wire layout of character and head.